"New Zealand's Minister for Economic Development David Parker says the country has the natural advantage of clear skies and seas, and relatively low levels of air traffic. "Ten years ago, under the last Labour government, Rocket Lab received its first research and development grant - they are a great example of what can be achieved," he said." Dlaczego? Przecież poprzednio tak na prawdę niewiele zabrakło. Jakby ujęli to Piraci z Asterixa "błąd w nawigacji". Czyli co? Następny ładunek "Moon Express"? Moon Express is "still hoping to launch the lander next year," but has said that the competition is not the company's main priority. The company has won more than $600,000 under NASA's Innovative Lunar Demonstration Data Program, and $1.25 million as a part of previous milestones of the Lunar Xprize. The company has an existing five-launch contract with Rocket Lab, which completed the second test of its Electron vehicle on Saturday. The rocket reached orbit for the first time, deploying a payload of micro-satellites. However, a person familiar with the Electron rocket said the Moon Express lander is too heavy for the Electron rocket, making it physically impossible to put the spacecraft into an orbit capable of reaching the moon. W czasie ostatniego lotu rakiety Electron użyto coś w rodzaju platformy do manewrowania satelitami tak aby wprowadzić je na dokładniejsza orbitę. Ma być najjaśniejszym obiektem na nocnym niebie. Po 9 miesiącach planowane jest wejście w atmosferę. The satellite is currently orbiting the Earth after being launched from New Zealand and successfully deploying to orbit on Sunday 21 January 2018, NZDT. It is the first New Zealand-designed and built satellite to orbit the Earth. The Humanity Star is a geodesic sphere made from carbon fibre with 65 highly reflective panels. The sphere spins rapidly, reflecting the sun's light back to Earth, creating a bright, flashing effect that can be seen in the night sky. Orbiting the Earth every 90 minutes and visible to the naked eye from anywhere on the globe, the Humanity Star is designed to be a bright symbol and reminder to all on Earth about our fragile place in the universe. The Humanity Star will orbit the Earth for approximately nine months before its orbit starts to decay and the satellite is pulled back into Earth's gravity, burning the satellite on re-entry. Przykład Nowozelandczyka świadczy o tym, że jak potrafi się przekonać do swoich pomysłow to granice nie są wielką przeszkodą. Rakiety nośne Elektron będą miały sporo pracy by obsłużyć rynek , jak wynika ze słów szefa Rocket Lab. Ciekawe czy uda się uniknąć większych zastojów. Nowa rakieta to i może będą się zdarzać nipowodzenia. Japonia i Europa też pracują nad małymi rakietami, a więc rynek na małe ładunki wydaje się rozwojowy. ILR-33 „Bursztyn” w dalszych etapach rozwojowych mógłby pewnie orbitalnie się sprawdzić. Przeszkody mogą być pozatechnologiczne. Peter Beck, Mark Rocket and other team members in the very early days of Rocket Lab - prior to the 2009 launch to space of their Ātea-1 rocket. The Rocket Man: Who is Peter Beck? (...) In 2001 he got a job in Auckland at Industrial Research (now Callaghan Innovation) which had its base at Balfour St in Parnell and continued working on his passion - rockets. He set up Rocket Lab in 2006 and it was at IRL that he met Sir Stephen Tindall, who through K1W1 Ltd and other vehicles, has invested over $150m into a large number of startup and early-stage businesses. Tindall said he was impressed by Beck, the consummate rocket scientist. “We could put a vehicle on the pad right now. But we just don’t take risks." 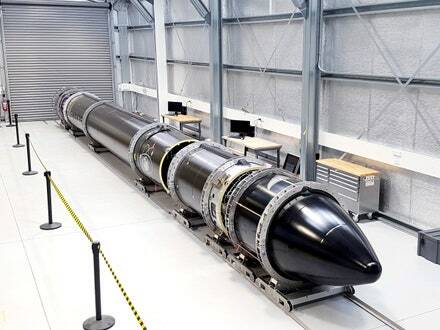 LOGAN, Utah — Rocket Lab announced Aug. 6 that it plans to resume launches of its Electron rocket in November, with two launches scheduled through the end of the year. The company said the Electron launch of several small satellites, postponed several times from April, is now scheduled for early November from the company’s launch site on New Zealand’s Mahia Peninsula. Problems with a motor controller in one of the first stage engines forced the company to postpone a launch attempt in April. A second attempt in late June was scrubbed shortly before liftoff when the problem re-occurred. To chyba typowe problemy nowych konstrukcji - pojawiają się jakieś detale, które trzeba lepiej zrozumieć. Docelowo pewnie tych problemów nie będzie i nie będą one opóźniać startów. Tutaj będzie livestream, który rozpocznie się ok. 20 min przed startem: http://www.rocketlabusa.com/live-stream. Egzemplarz rakiety Elektron do tej misji nazwano "It's Business Time". Na marginesie: ciekawe, czy przyjmie się nowa świecka tradycja nadawania nazw własnych nie tylko poszczególnym satelitom, ale także rakietom? "Thanks to Rocket Lab, please welcome LEMUR-2-ZUPANSKI and LEMUR-2-CHANUSIAK to orbit! Our latest LEMURS are outfitted with sensors for maritime, aviation, and weather tracking. This is Spire's 5th launch of 2018, and our 18th launch of all time. Next up, we're in India for PSLV C43."